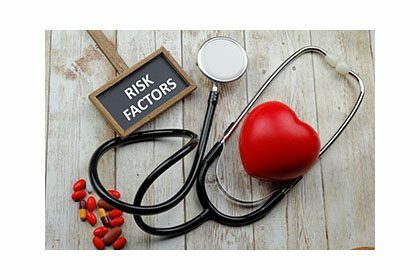 Logically, it then follows that inhibition of ACC isoforms could be advantageous for lessening many cardiovascular risk factors linked to obesity, diabetes, insulin resistance, and metabolic syndrome. Several studies have supported this hypothesis, including studies of ACC2 knock-out mice that exhibited favorable metabolic shift and protection from diet-induced diabetes and obesity3,4, and the use of a non-isoform-selective inhibitor called CP-640186 which stimulated insulin sensitivity and fatty acid clearance in animal models. This strategy has captured the attention of pharmaceutical giant Pfizer, which has filed a series of patent applications relating to ACC inhibitor compounds. Each patent and patent application details the use of Transcreener® ADP² FP Assay in a screen to measure inhibition of recombinant human ACC1 (rhACC1) in vitro. The first application, which was filed in 2011 and resulted in an issued patent in 2014, claims a series of substituted pyrazolospiroketone compounds as ACC inhibitors and describes the use of the Transcreener ADP² FP Assay to screen for the inhibition of activity of rhACC1 expressed in Sf9 cells and purified using a His-tag5. A more recently published patent application filed in January, 2018 also describes the use of Transcreener ADP² FP Assay in similar fashion6. More data including clinical studies are needed to assess the feasibility of ACC inhibitors for the prevention and/or treatment of various diseases and conditions such as metabolic syndrome2, diabetes, and other related conditions7. Assays amenable to high-throughput screens are an essential tool in this approach. The robust, sensitive performance of the Transcreener ADP² FP Assay has powered a set of investigations that – given the global impact of diabetes and related conditions – one can only hope will prove fruitful for discovering, validating and testing much-needed new therapies. Tong L, Harwood HJ. 2006. Acetyl-coenzyme A carboxylases: versatile targets for drug discovery. J Cell Biochem. 99(6): 10.1002/jcb.21077. Harwood HJ. 2005. Treating the metabolic syndrome: acetyl-CoA carboxylase inhibition. Expert Opin Ther Targets. 9:267–281. Abu-Elheiga L, Matzuk MM, Abo-Hashema KAH, Wakil SJ. 2001. Continuous fatty acid oxidation and reduced fat storage in mice lacking acetyl-CoA carboxylase 2. Science. 291:2613–2616. Abu-Elheiga L, Oh W, Kordari P, Wakil SJ. 2003. Acetyl-CoA carboxylase 2 mutant mice are protected against obesity and diabetes induced by high-fat/high-carbohydrate diets. Proc Natl Acad Sci USA. 100:10207–10212. U.S. Pat. App. No. 20180162858, filed January 30, 2018. Luo DX, Tong DJ, Rajput S, Wang C, Liao DF, Cao D, Maser E. 2012. Targeting acetyl-CoA carboxylases: small molecular inhibitors and their therapeutic potential. Recent Pat Anticancer Drug Discov. 7(2):168-84.